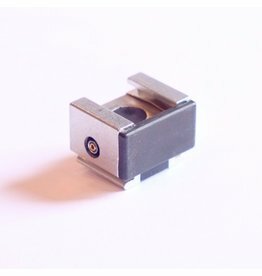 This Hama adapter slips into a standard camera hot shoe and provides a PC sync terminal for off-camera flash firing. Well made in Germany of aluminum and good quality plastic. PC cord not included. 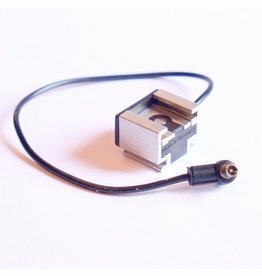 This Hama adapter connects to a PC sync socket and provides a standard single-terminal hot shoe connection for a flash. Well made in Germany of aluminum and good quality plastic. Hama Hot Shoe Adapter with cable.